Burial service coming up. 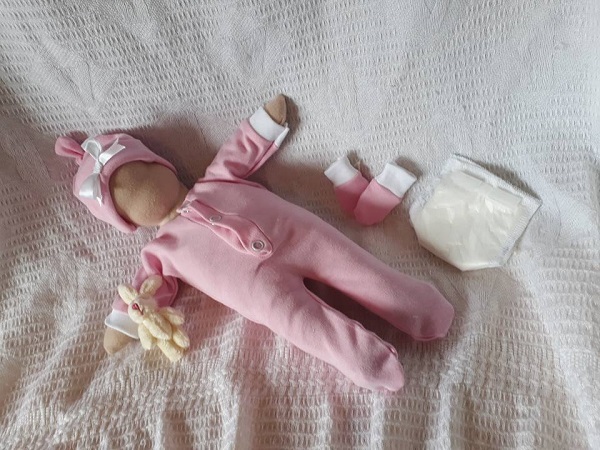 Complete 5 piece baby burial clothes and gift set micro tiny baby burial clothes made from soft comfortable stretchy cotton extra special and gentle for your baby girl to wear that has sadly passed away early on in pregnancy. You can dress her in something dignified that fits, that you have picked out yourself so your baby can wear cute baby clothes settled, resting peacefully and in comfort.